In recent years there has been an increase in the concern over the safety of aluminum wiring. 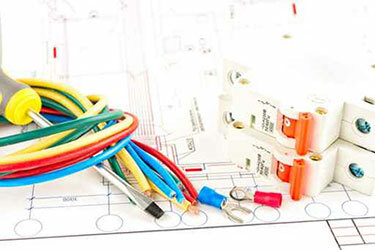 In particular, purchasers or owners of homes built from the mid 1960’s to the late 1970’s with aluminum wiring are finding that many insurer’s will not provide or renew insurance coverage on such properties unless the wiring is inspected and repaired or replaced as necessary, and the work is inspected by the ESA (Electrical Safety Authority), and a copy of the certificate of inspection is provided to the insurer. In some cases the insurer may require replacement of the aluminum wiring with new copper wiring. Many homes have a mixture of both aluminum and copper wiring. Reported problems with aluminum wiring have been related to the overheating and failure of aluminum wiring terminations. This is due to the tendency of aluminum wiring to oxidize, and aluminum’s incompatibility with devices designed for use with copper wiring only. Aluminum has a higher rate of expansion than copper wiring, which can lead to loose connections, arcing and melting, eventually fire. Ware cover plates or discoloration of switches or receptacles, flickering lights or the smell of hot plastic insulation may be evidence of poor or improperly made connections. All homes are wired differently and must be assessed on an individual basis. The Electrical Safety Authority recommends that the homeowner hire an authorized electrical contractor that is knowledgeable in the approved methods for working with, and repairing aluminum wiring. We have what we call our “Aluminum Wiring Rejuvenation” solution. Replacing all the receptacles and switches in the home, with ones that are rated for aluminum wiring (not available at any BIG BOX stores), and treating all other connections at light fixtures and junction points with an antioxidant, and replacing wire connectors with ones that are rated for aluminum. It is interesting to note that the acceptable wire connection methods that are used in Ontario and Canada as well as many of the US States are not acceptable in other US States. This probably poses a policy issue with International Insurance Companies. The reality is however – that the Electrical Inspection Department of whatever jurisdiction has the final say as to what is acceptable. Rewiring would be the best long term solution for eliminating problems associated with aluminum wiring, but it also represents a substantial investment. This may be the best solution in some cases. Like with K&T wiring, we would like to see a Government Grant / Rebate / loan to eliminate Aluminum wiring, especially since they allowed the use of it in Canada in the first place. Aluminum in itself is not a dangerous material to be used for wiring – the terminations and connection points are where the trouble begins. Have circuits been “doubled-up” on breakers? If you answered YES to any of these questions your home may be in need of a service panel upg rade. 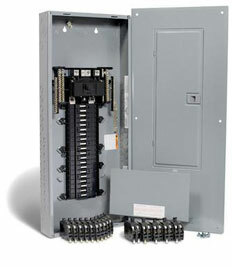 Extra protection is incorporated into the latest equipment in the form of circuit breakers. The circuit breakers protect every device in the house with sensitive circuitry that responds quickly if there is a fault, opening the circuit and eliminating the risk of danger. There is also excellent protection available in the form of Ground-Fault Circuit Breakers and Arc-Fault Circuit Breakers. Older equipment and wiring systems did not have to support the modern appliances of our day. Overloading and doubling up of circuits is commonly seen on older outdated fuse panels, the result of improper installations that were never inspected. This can cause fires. Upgrading or replacing these dangers in your home by installing a new Circuit Breaker Panel can eliminate these potentially dangerous situations. First, have your system inspected by one of our highly qualified electricians. They will help you to decide whether you should have your outdated fuse or breaker panel replaced with a modern Circuit Breaker Panel.